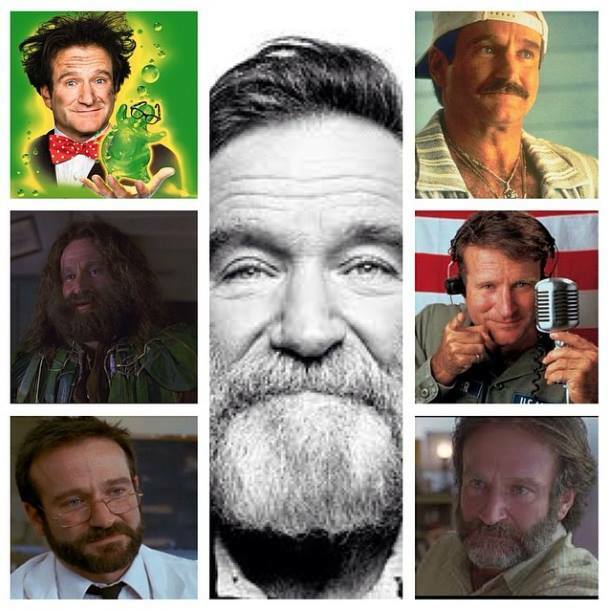 “37 Years Of Robin Williams…” (An Homage) | Fidel's Wandering Eye. Yes, there is a touch of ‘celebrity fascination’ there. Yes, it’s always sad when another human being’s flame goes out. And yes, the hint of suicide makes it even more shocking, true or not. But for me personally, he’s kinda ‘been there with me’ in one form or another throughout my entire life. He has portrayed characters that for me were relevant, believable and timeless. Crazy ones, funny ones, vicious ones, bad ones, good ones and even futuristic robotic ones. I can safely say that I’ve been influenced by him at various times in various different ways as far back as I can remember. Sure, I didn’t know him. Sure, there’s probably another billion people on the planet that will say the same thing. But the truth is, the more we see and hear someone, the more they’re in our everyday lives, the more we remember and are guided by the things they say…even if we only know them through media. I remember the lines from his movies, including all the songs from the animated ones. I know the jokes from his standup routines and the one-liners from his videos and cassette tapes. I ‘know’ who he was, or at least who he wanted us to think he was. So I’m ‘sad’ that he’s gone, or whatever you’d like to call that feeling you feel when you know you’re going to ‘miss’ someone, even if you didn’t ‘know’ them.